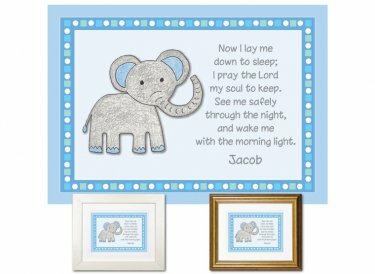 Sweet personalized print for child's room featuring the bedtime prayer we're all familiar with. Original design. Hand finished using premium museum-quality materials. Also available in pink and green.